Our experienced occupational hygienists have been providing noise testing, measurements, noise surveys, noise exposure assessment and management to workplaces in various industries. Does your business require workplace noise survey and noise assessment? Turn to SESA for all your occupational noise surveys, measurements, testing and other workplace noise assessment services if you are in Sydney, Canberra, Wollongong, Newcastle and other areas across NSW and ACT. Our noise consultants, occupational hygienists and noise survey specialists undertake detailed assessment to ensure your workplace is compliant and that everyone in your workplace is sufficiently protected from exposure to noise hazards at work. Why a Workplace Noise Survey & Assessment are Needed? The Code of Practice Managing Noise and Preventing Hearing Loss at Work applies to all types of work and all workplaces covered by the WHS Act 2011 where there is a potential for exposure to noise that can contribute to hearing loss. To comply with the WHS Act, a Person conductiong a business or undertaking (PCBU) is required to identify and assess exposure to noise and control health and safety risks arising from hazardous noise in the workplace in accordance with the guidance given in the code of practice. It is considered that when it is necessary to use a raised voice in order to communicate with a person about one metre distant, it is advisable to carry out noise measurements through a workplace noise survey and noise exposure assessment. When the average level of noise in the workplace is likely to exceed 80 (dBA) it is advisable to carry out a noise assessment. If the average noise levels are likely to reach 85 (dBA) and/or peak noise levels to reach 140 (dBC), the noise assessment becomes mandatory including implementation of immediate control measures under the WHS legislation. 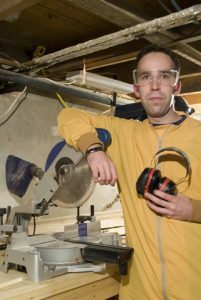 To assist PCBUs in complying with the legislation, Safe Work Australia released the publication “Occupational noise-induced hearing loss in Australia: overcoming barriers to effective noise control and hearing loss prevention” in August 2010. Go to document for useful information. Identify all significant noise sources and workers likely to be exposed to noise above specified levels (noise exposure standards). This will generally involve a walkthrough or base-line noise survey with spot noise measurements and if required personal noise dosimetry taken and the evaluation of the average noise exposure over the work shift duration (LAeq,8h) and peak noise levels (LCPeak) where relevant. Obtaining information on noise sources and work practices that will help deciding what measures should be taken to reduce noise levels in the workplace. 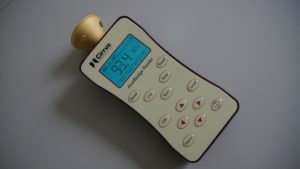 Check the effectiveness of measures taken to reduce exposure (Provided that a base-line has been established in a more comprehensive noise assessment, it might be possible to restrict such noise surveys to measurement of noise levels at a few defined positions and under a restricted range of working or loading conditions of the equipment involved). Help in the selection of appropriate personal hearing protectors. Delineate hearing protection areas. The detail and accuracy needed will depend on individual circumstances encountered in the workplace and a noise contour map can be produced if required. Modification of working arrangements affecting the length of time workers would spend in noisy workplaces. A noise assessment may be simple or quite complex, depending on the type of workplace, the number of workers and the information already available regarding workplace / occupational noise exposure levels. When no prior information is available, an initial or preliminary noise survey and noise assessment is made (walkthrough Noise Survey) to establish if noise exposure is acceptable or not. 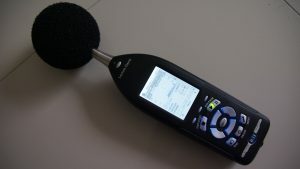 Noise measurements are to be undertaken in accordance with Australian Standards AS1269 and AS 2659. Where noise measurements indicate that hearing protection is likely to be necessary, readings in dB(C) may also be taken during the initial noise assessment in order to determine the attenuation required by personal hearing protectors. Alternatively, a separate follow-up noise assessment or detailed noise assessment may be required for this purpose. 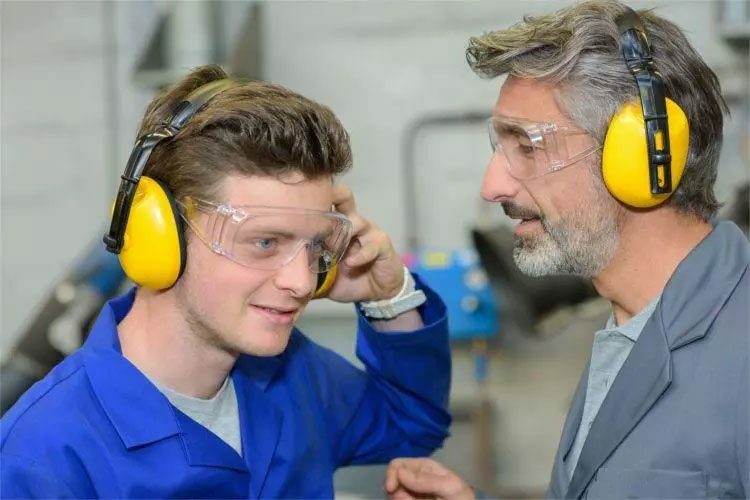 In some cases, more complex noise measurements are required in order to determine employees’ occupational noise exposure with acceptable accuracy, or for the selection of personal hearing protectors. For example, octave band analysis of the noise may be required if the noise contains intense tonal, high frequency or low frequency components. This can also be part of the detailed occupational noise assessment.